A great bedding set for any fan! 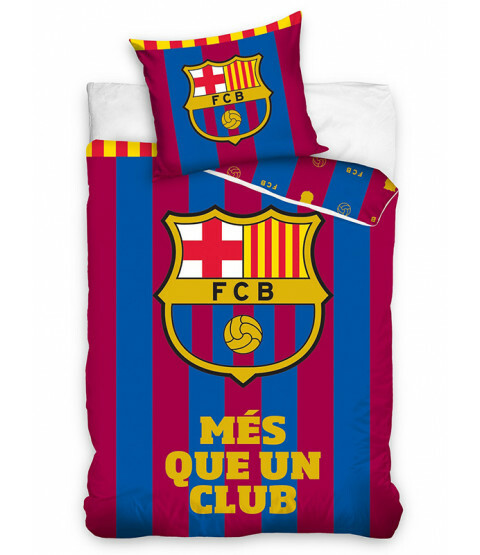 This FC Barcelona single duvet cover is the perfect bedding set for Barça fans of all ages. 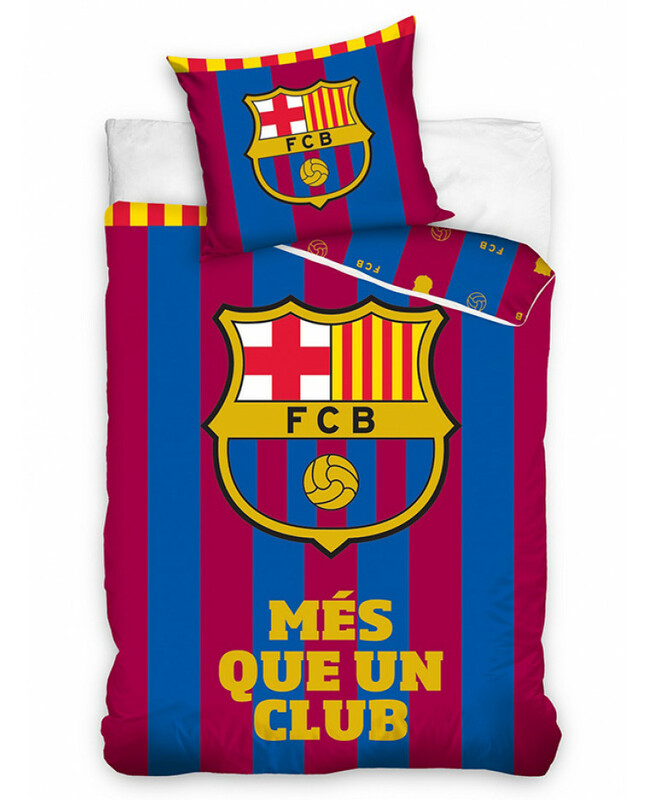 The duvet cover features the club crest in the centre of a striped background in Barça's red and blue colours, with Més Que Un Club, meaning more than a club, written below it. The reverse features a repeated pattern of the club crest silhouette, the ball from the crest and FCB in yellow on the same striped background. This set is made from 100% cotton and is suitable for machine washing.